Bernini Carbone 4 in. x 18 in. Porcelain Tile boasts a unique vein cut travertine look with faux fossilized veining. Gray tiles are extremely popular and this one in no exception. Its one-of-a-kind detailing and fashionable size lend a refined, modern edge to any project. Revered for its versatility and durability, this matte tile is a top choice among homebuilders and designers, who trust it for a variety of light commercial and residential applications. Whether it's used in the kitchen as flooring or backsplash tile or in the bathroom to create a spa-like retreat, this hard-working tile puts a new spin on neutrals. 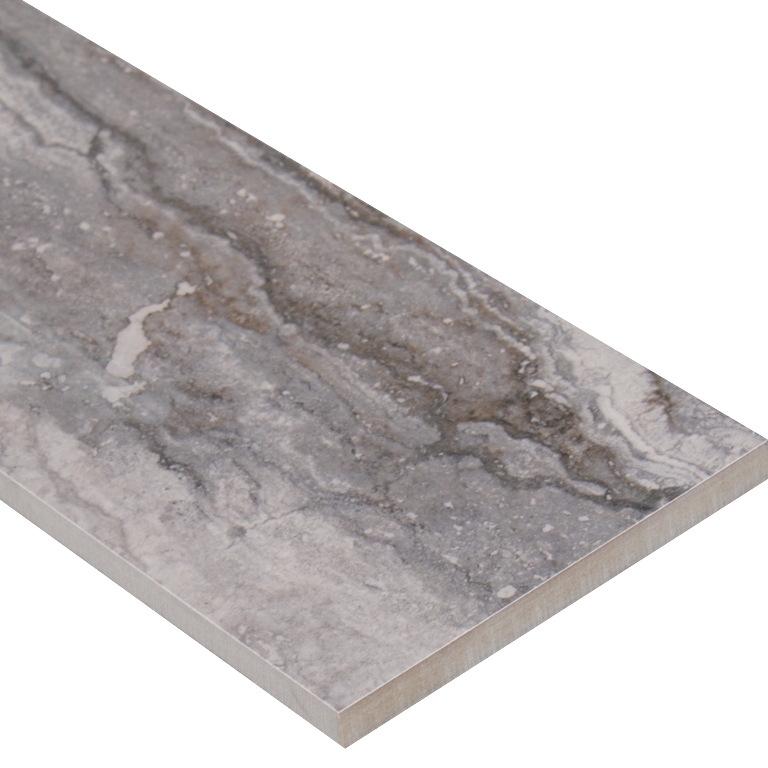 This is a rectified tile, mechanically finished on all sides to achieve uniformity. Its precise sizing allows for a thinner grout joint, which results in a clean, professional install and reduces staining issues. Multiple tile sizes, along with coordinating decorative mosaics and bullnose give your project a finished look.